Are you looking for a stylish and fun-to-drive family hauler? 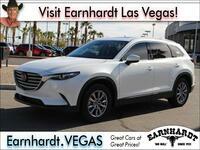 Look no further than the 2019 Mazda CX-9 at Earnhardt Mazda Las Vegas. 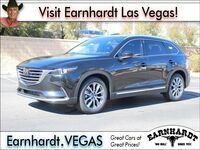 With an attractive style, an athletic turbocharged SKYACTIV®-G powertrain, a wealth of high-end features and an affordable price tag, the Mazda CX-9 is a fan favorite and promises to stand out in this 2019 Mazda CX-9 vs 2019 Ford Explorer comparison. 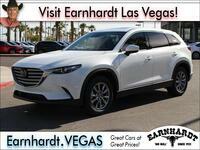 Drivers who choose the 2019 Mazda CX-9 will find a family-friendly midsize SUV that punches above its weight class with a long list of luxury features that come standard in four trim levels – Sport, Touring, Grand Touring and Signature – with a starting price that stands at $32,280. Mazda CX-9 entries provide space for seven passengers with a capable 14.4 cubic feet of cargo space behind the third-row seats. What Are the Differences Between the Mazda CX-9 and Ford Explorer? With a more affordable price tag, efficient fuel-economy ratings that will not penalize you at the pump and an impressive list of features, the Mazda CX-9 comes out on top in this 2019 Mazda CX-9 vs 2019 Ford Explorer comparison. Entry-level Mazda CX-9 Sport trim levels come standard with three-zone automatic climate control, remote keyless entry, push-button start, a leather-wrapped steering wheel, a rearview camera, Smart City Brake Support and Blind Spot Monitoring with Rear Cross Traffic Alert. An innovative 7-inch MAZDA CONNECT™ touchscreen infotainment system with Apple CarPlay and Android Auto is a standard fixture that will outperform the basic Ford SYNC® infotainment system at every turn. 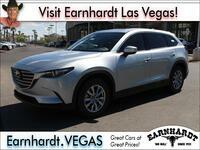 Families who want to upgrade their next adventure can opt for the top-of-the-line Mazda CX-9 Signature trim level. 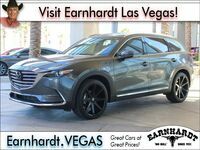 Tailor-made for the family who craves luxury and technology, the Mazda CX-9 Signature features premium Auburn Nappa leather upholstery, a hand-stitched and leather-wrapped steering wheel and Santos Rosewood interior trim. Additional highlights of the luxury-infused Mazda CX-9 include an Adaptive Front-Lighting System, 20-inch aluminum alloy wheels, an Active Driving Display with Traffic Sign Recognition, heated and cooled front seats, a heated steering wheel, a power moonroof and much more. When you look under the hood of the 2019 Mazda CX-9, you will find a 250-horsepower 2.5-liter turbocharged SKYACTIV®-G 2.5T four-cylinder engine that manufactures 310 pound-feet of torque. 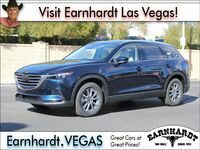 Married to a six-speed SKYACTIV®-Drive automatic transmission with Sport Mode, the front-wheel drive Mazda CX-9 will achieve 22 mpg in the city and 28 mpg on the highway – numbers that the Ford Explorer cannot match. With the addition of the i-ACTIV AWD® system, the Mazda CX-9 will still earn 20 mpg in the city and 26 mpg on the highway. Ford Explorer models are available with three engine options – a 3.5-liter V-6, a 2.3-liter EcoBoost® four-cylinder and a 3.5-liter EcoBoost® V-6 - that put the focus on power and performance rather than fuel economy.